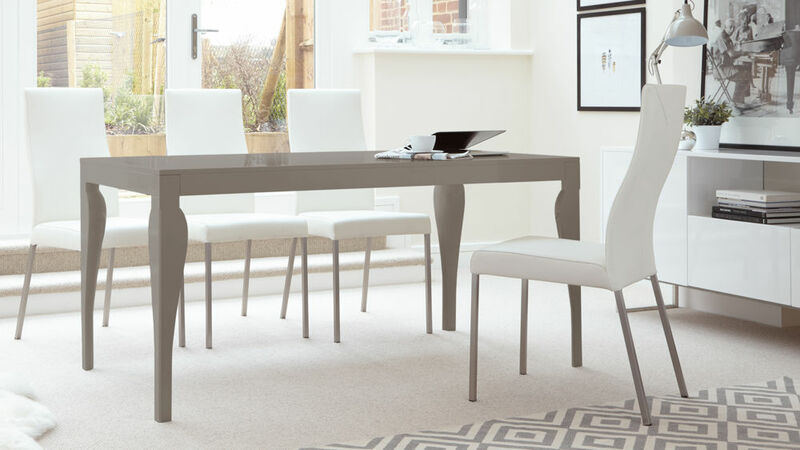 The Eva 6 Seater Taupe Grey Gloss Dining Table is a contemporary take on time honoured classic. We've stripped back our original design to create a simple yet elegant shape, adding a high gloss finish for a modern look. Everything from the chamfer on the legs to the routed lip on the table edge is a subtle nod towards classic carpentry detailing. The Eva table will definitely bring a wow factor to your dining space. It's also a Danetti original, meaning you won't find this stylish table anywhere else. Measuring at 160 x 80 x 75cm, this Eva table can comfortably seat up to 6 people. This clever sizing along with the tables sleek leg design allows you to seat a number of guests without the table legs getting in the way. For the design of the Eva, we took inspiration from a traditional English dining table. 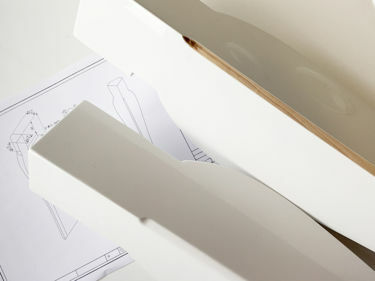 We smoothed the edges and took away all the unnecessary shapes of our original design, giving the legs one seamless curve from top to bottom. This created a style of table that incorporated both classic detailing with contemporary design, making it perfect for modern family homes. The top of the Eva table has a shallow routed lip all the way around and each of the 4 legs have a classic 45° chamfer. It's these subtle yet effective design elements that add a more heritage appearance to this table, giving it a much more coordinating and elegant overall look. This dining table has a taupe grey gloss finish. Grey gloss finishes are perfect for bringing a warm and welcoming feel to a room while still maintaining a crisp, contemporary and stylish look. This makes it a great colour finish for something as communal as a dining table, as it instantly adds an inviting and welcoming feel to the space. The taupe grey gloss finish has been applied in 3 layers, each dried for 24 hours. This is to ensure a hard finish that is highly reflective, while also giving a depth of finish that you wouldn't get with low a quality gloss. Because taupe grey gloss is a much warmer colour, it works effortlessly well with monochrome greys like our cool grey and the slightly warmer tone of oatmeal. A wide selection of our dining chairs are available in these sleek tones, so you are sure to find a chair to match this stunning Eva table. The Eva 6 Seater Taupe Grey Gloss Dining Table is a truly versatile and designer piece that is sure to look right at home in your dining interior. 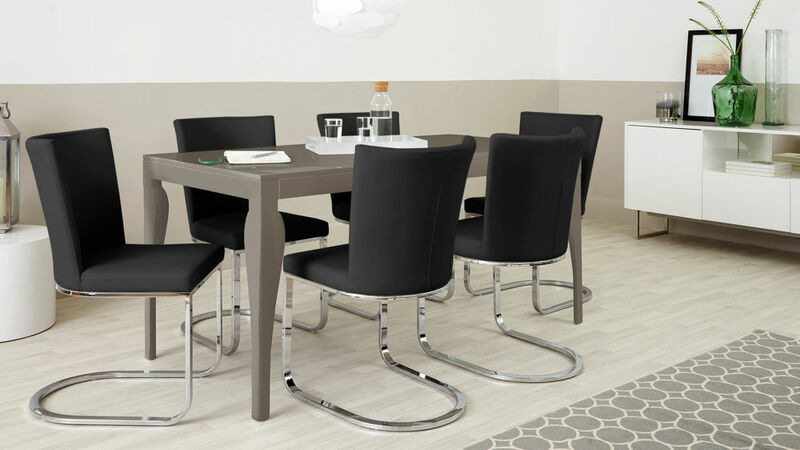 If you are looking for a slightly smaller size table, take a look at our Eva 4 Seater Taupe Grey Gloss Dining Table which is the exact same design just with a smaller seating capacity.